FACT CHECK: Did Heineken Advertise Beer to Babies? Did Heineken Advertise Beer to Babies? Nearly every company wants to capture potential customers as early as possible, but how far will they go? 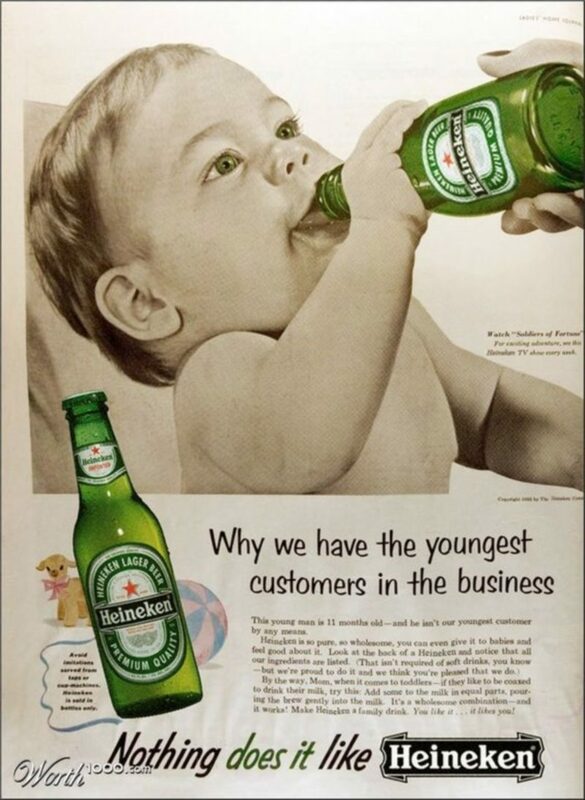 A vintage Heineken advertisement showed a toddler drinking a beer and boasted about having the youngest customers in the business. Images of vintage print advertisements are often met with skepticism, as they frequently embody messaging that doesn’t sync up with modern modern social beliefs and viewpoints. 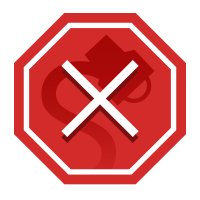 This quality has made such ads a favorite template for the digital image editing crowd, who have found humor in swapping out one product for another in decades-old promotional material, making it all the more difficult for viewers to determine whether a given image is real or fake. A magazine spread promoting guns for the entire family, for instance, is real. But a pictorial touting the benefits of consuming full sticks of butter? Nope, that’s fake. Thankfully, this is not a genuine old Heineken ad. This piece of artwork was a digital manipulation created for a Photoshop contest hosted by the web site Worth1000 (now part of Design Crowd. 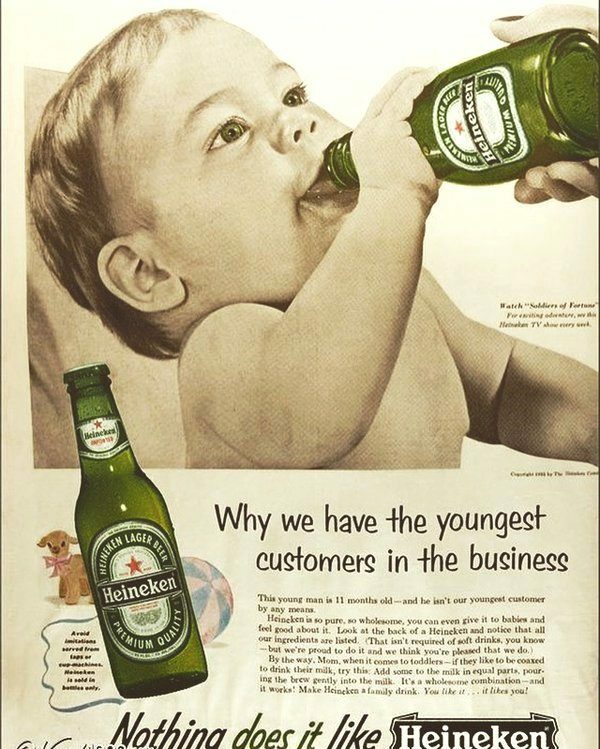 Although modern audiences would find the prospect of advertising beer for babies to be unimaginable, the original ad on which the Heineken spoof was based would probably be met with nearly as much dismay: a 1950s-era magazine spread for 7-Up soda, created to appeal to young consumers. This young man is 11 months old — and he isn’t our youngest customer by any means. 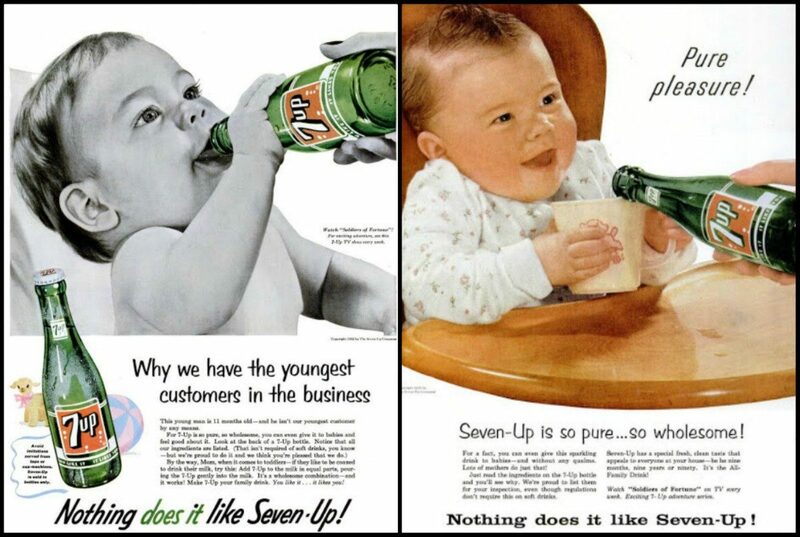 For 7-Up is so pure, so wholesome, you can even give it to babies and feel good about it. Look at the back of a 7-Up bottle. Notice that all our ingredients are listed. (That isn’t required of soft drinks, you know — but we’re proud to do it and we think you’re pleased that we do.) By the way, Mom, when it comes to toddlers — if they like to be coaxed to drink their milk, try this: Add 7-Up to the milk in equal parts, pouring the 7-Up gently into the milk. It’s a wholesome combination — and it works! Make 7Up your family drink. You like it … it likes you! Ad Age. 27 August 2012.